You’re planning a holiday in Europe and want to see all the highlights without following gazillions of other tourists? You’ve seen our offers but can’t make up your mind whether to go it all alone or join a tour? Going on your own you’re flexible; on a tour you’re ‘stuck’ with a set of people. Going alone you might not find the local attractions; on a tour you might find new friends! So, for starters why not get to know the tour company and see how they plan and execute tours? We feel that the holidays are the time to make our dreams come true and re-charge our batteries. The ‘how’ and ‘where’ are limited only by your imagination. For those of you who love to get close to nature and experience breath taking landscapes we have got something new on offer: guided walks that take you for 3-4 days into the secluded wilderness of New Zealand without having to forego creature comforts. As the name implies, we specialise in taking walks off the beaten tracks and enjoying moments of peace and spectacular experiences. Our groups are kept small to ensure everyone has the opportunity to enjoy each moment in their own time. 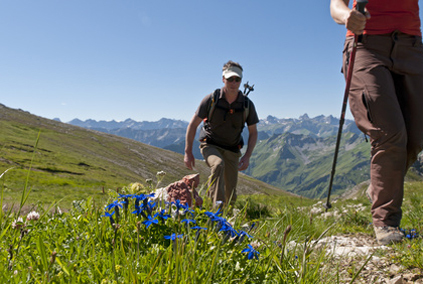 With this philosophy in mind, we are pleased to add these short guided walks to our portfolio. They lead over privately owned farm land, the cabins are run and maintained by the owners themselves and they limit the daily visitor numbers to max. 12 walkers. The privacy of these walks is further enhanced by the care and attention given to the visitors: at the end of a day you will find your luggage at the cabin, beds made and a hot shower awaiting you, alongside some of the most stunning views New Zealand can offer. Carefree hiking with just a day pack! Even though these walks can be organised directly, we have been able to work out packages that make it even more easy to relax and enjoy a short break. With us you won’t have to worry about getting there, organising provisions and bedding and a lot of other things that can make or break a trip. Our tour guides are experienced, bi-lingual and walking encyclopaedias on the local fauna and flora. Have a break, have a …. walk! 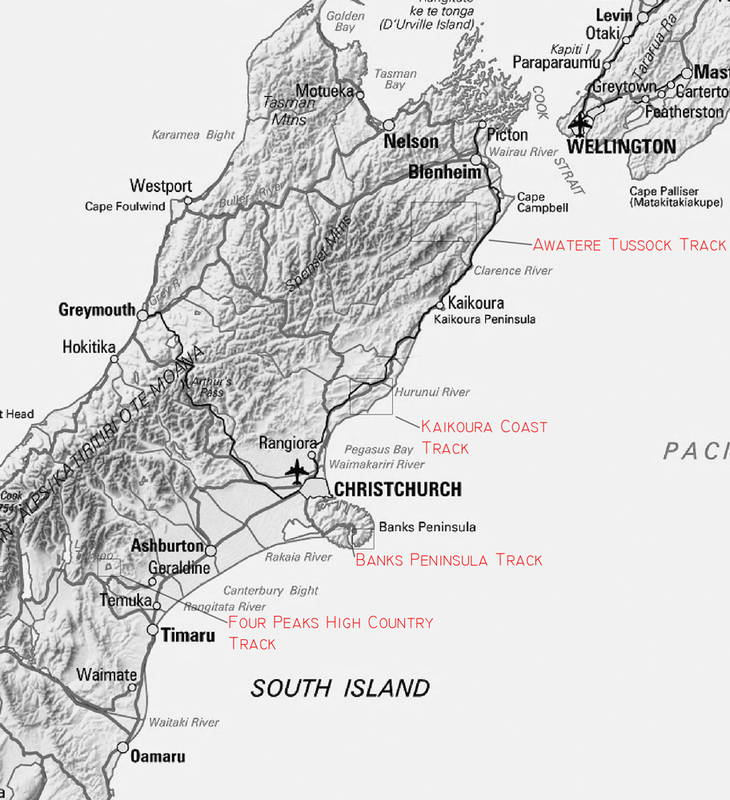 Whether you’re looking for a short and intense break from the daily grind or wanting to see what our company is like, come and join us on a wonderful walk around the South Island and see the beaches and mountains that make up its beauty. On the map you will see the locations of the four walks we’ve chosen and hopefully we will get to see you soon.